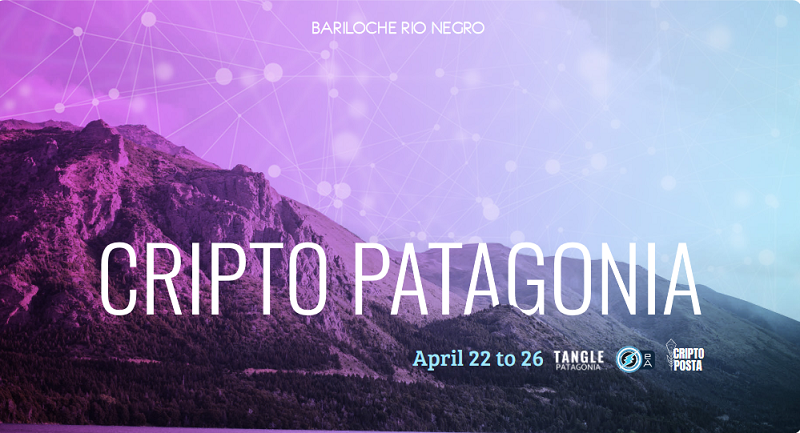 During the course of 2018, in Bariloche were held talks and meetups talking about decentralized technologies such as Blockchain and the new technology of IOTA Tangle, this last one as a protocol that aims to be the standard for the Internet of Things by Tangle Patagonia and Criptoposta. Around 350 people passed through these talks, acquiring knowledge about this new form of digital money, such as cryptocurrencies, how to buy them, sell them, how to store currencies in wallets. Topics such as blockchain, tangle, use cases and the pertinent precautions to take. The talks were often planned with a duration of 2 clock hours, but more than once there were debates, questions and ideas that made us raise the concern to do something more. When 2019 arrived and after inaugurating the year of activities with a talk at the Fab Lab, organized by Gabriela Jara (me) and Juan Pablo Cánepa (Criptoposta) we needed to take a step further, a leap towards something bigger that would allow more people in Bariloche and the region to know about DLTs and cryptomonedas. This is how CRIPTO Patagonia began to develop. Considering the high level of scientists and technological level that Bariloche concentrates, we designed a week that offers this community and all those interested from different public and private sectors of the Patagonian region, the possibility of interacting and opening a space of ideas through workshops and talks with national and international referents of the crypto space. 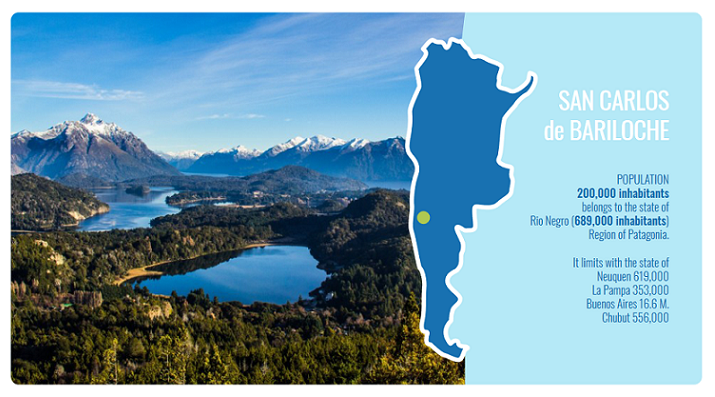 The city of Bariloche occupies almost daily spaces highlighted in the media with news from the scientific and technological field, a presence that grows daily, is based on a rich history and has a statistical abnormality, with 14 researchers per 1,000 inhabitants , the highest concentration of the country. That is why we strongly believe that this is the right place to held an activity like this. 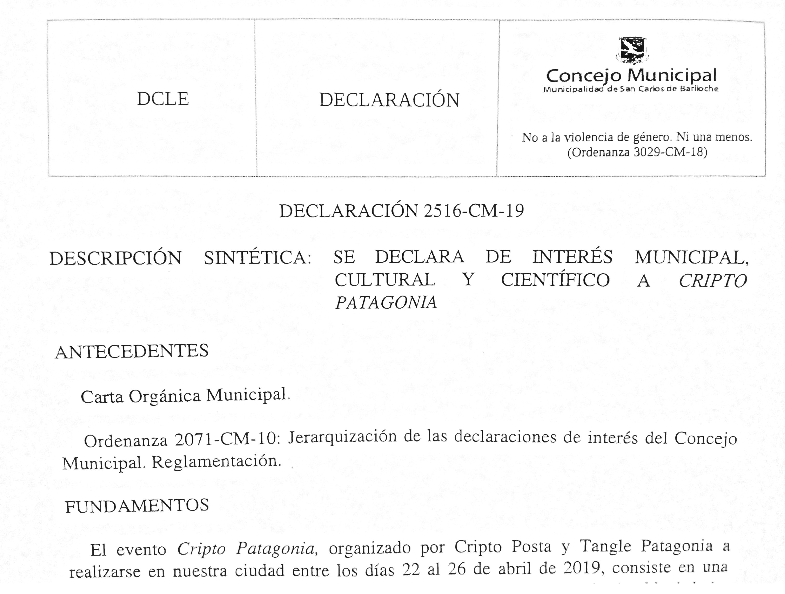 CRIPTO Patagonia will happen from April 22nd to 26th, on those days talks, conferences and workshops will take place and also recently the event was approved by the Councillors of Bariloche to be declared of municipal interest! Who will you have the opportunity to listen and meet? a non-profit project that proposes to build bridges between those who are developing the technology (and understand it) and people from different social, economic and cultural ecosystems. The people of the Bitcoineta travels around Latam and in each place they arrive they talk about of what Bitcoin is, what the cryptocurrencies are in general and how the blockchain works. For this reason they make introductory talks, but also work tables with people with a more advanced knowledge and we are going to have them through two entire days. One of the surprises… They recently installed a full node on the Bitcoineta and we will have a live demonstration! people will be able to attend to a workshop by Daniel De Michele and Alejandro Elustondo, where they will learn how to collect data through the sensor xdk110 from Bosch and upload it to the Tangle through MAM (Masked Authenticated Messaging). It’s a very interesting workshop that that no programmer or enthusiast should miss. 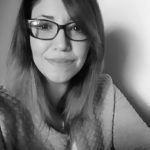 It is a unique opportunity to learn in a practical way one of the uses that the technology of IOTA gives us. Daniel De Michele is a Full Stack Web Developer, Head of Web Development at Universidad Nacional de Entre Ríos. Argentina Regional Community Leader and IOTA Ecosystem developer, IOTA Hispano founder XDK2MAM Co-Founder and Alejandro Elustondo CEO & Cofounder de XDK2MAM, Software Developer and IOTA Ecosystem Developer. Also from the IOTA Community in Argentina we are going to have Juan Quitegui, (accountan) that toghether with Lucas Horton (lawyer) will be giving a talk about what IOTA is and some legal aspects regarding cryptocurrencies in Argentina. Elias Vernieri y Andrés Chesini Remic from IntuirFuturo, will be giving a talk about the use of blockchain in social networks and application in a decentralized business model. I almost forgot to tell you that the event will be free so that everyone who wants to access it can do it without any impediment. Soon we will be giving more information about this event, such as venue, day by day activities and the complete list of our speakers. We invite you to be part of this, don’t miss it!